Hajia Tumaka emerged winner through a rigorous process of survey carried out by a team of maritime journalists with over 10 maritime industry image makers in the contest. Presenting the award at a colourful ceremony at the Mobil Pegasus Club in Apapa, the organizers of the Awards led by Mr Tunde Ojodu noted that Hajia Tumaka was selected in recognition of her excellent relationship with the maritime media, industry stakeholders and members of the public. According to him, this explains why the management of NIMASA called on her to once again reposition the image of the regulatory agency which was at an all- time low before the removal of the former Director General in July this year. 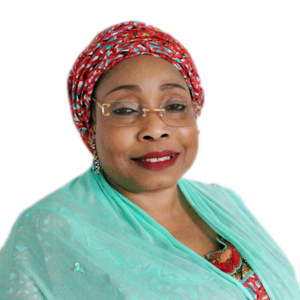 A Fellow of the Nigerian Institute of Public Relations (FNIPR), Hajia Tumaka has close to three decades cognate experience in Journalism and Public Relations in both the private and public sectors of Nigeria’s economy at the highest level having served as Manager News with the Nigerian Television Authority (NTA), Public Relations Manager of Peogeot Automobile Nigeria (PAN) Limited before joining the services of the then National Maritime Authority (NMA).